Japan is a country in Asia. The largest cities are Tokyo, Yokohama, and Osaka. Below is a selection of the best resources for searching for an apartment in Japan. At Home: One of the most popular sites to search for apartments in Japan. Tokyo Apartments: Tokyo Apartments is a good one stop shop for different types of apartments in Japan. Oakhouse: If you are looking for a fully furnished apartment, be sure to check out Oakhouse. You can stay for as little as one month. Real Estate Japan: Real Estate Japan is in English making it easy to use for you English speakers out there. Japan Experience: House Rental options in Kyoto and Tokyo. Craigslist: Pioneers in the internet classifieds space. These guys have tons of Tokyo apartment options that are updated daily. Craigslist is the first place I would check after testing out the Japan-specific search engines. Metropolis: Metropolis is the leading English magazine in Japan. Click through the link to go to their classifieds. Tokyo Notice Board: Tokyo Notice Board is specifically targeted to English speakers. They have a section on housing. Japan Guide: Japan Guide is awesome when it comes to detailed information for foreigners looking at starting a life in Japan. Check out this article. Just Landed: Just Landed has brief but useful information on housing in Japan, including rental contracts, gas, water, electricity, and student housing. There you have it. The best places for finding an apartment in Japan. 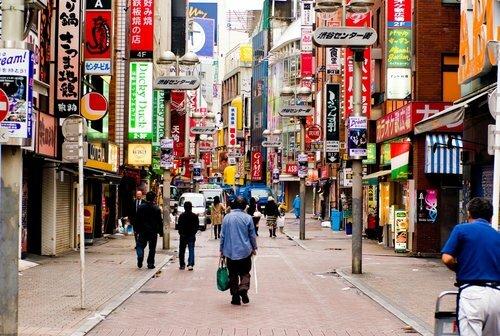 If you are interested in working in this country, be sure to check out my article on how to find a job in Japan as a foreigner. If you are single and are looking to spice up your dating life, check out my reviews of the best dating sites in Japan. Enjoy your stay!